Starting next week, the PlayStation Vita will get a (much needed) price drop. Sony will peg both WiFi-only and the 3G-enabled versions at ¥19,980 (US$214) starting February 28. 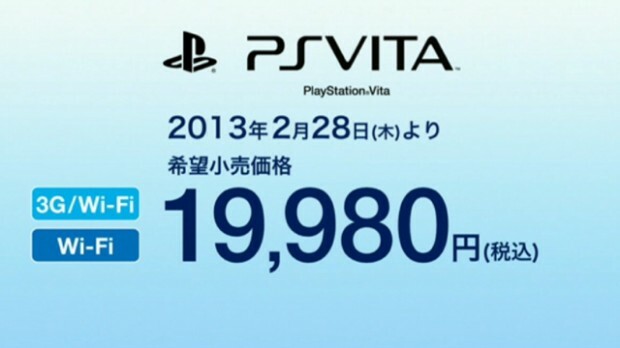 If you’re looking at that in a weird way then you read it right, the Vita’s 2 SKUs will be priced the same — at least in Japan. Aside from the price cut, buyers will be able to avail of a 7-day free trial of PS Plus which includes digital copies of Uncharted, Ridge Racer and four more titles free during February. As per PlayStation Plus subscription rules, you get to keep these games as long as you maintain the subscription. No news yet on when this price change will reach international markets but considering the upcoming February 20 event, all eyes and ears looking to the big man himself, Kaz Hirai to make the announcement. In any case, while waiting for the price drop, there’s a few more news items set for the Vita aside from the new pricing scheme so stay tuned.